QR Stylist allows you to easily create 2D barcodes. You can create codes for email addresses, telephone numbers, contact cards, and websites to name a few. Just press a button, choose a contact, and the QR code is created nearly instantly. 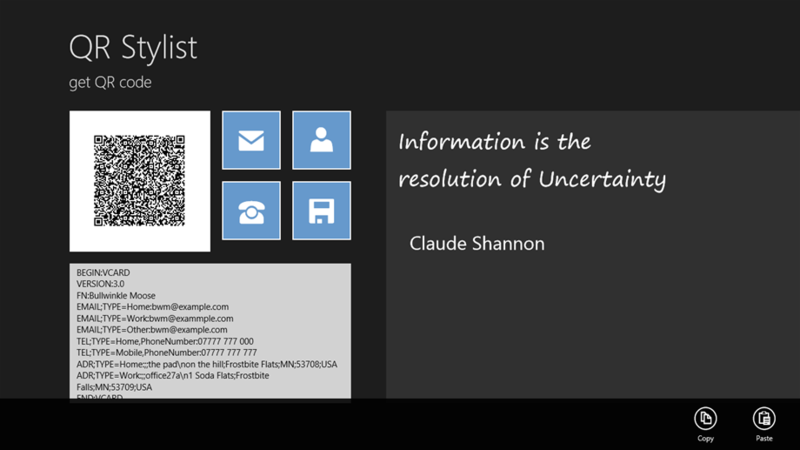 QR Stylist supports sharing on Windows 8, so fire up the share charm, and send the barcode to another program, or send other program output to the QR Stylist. 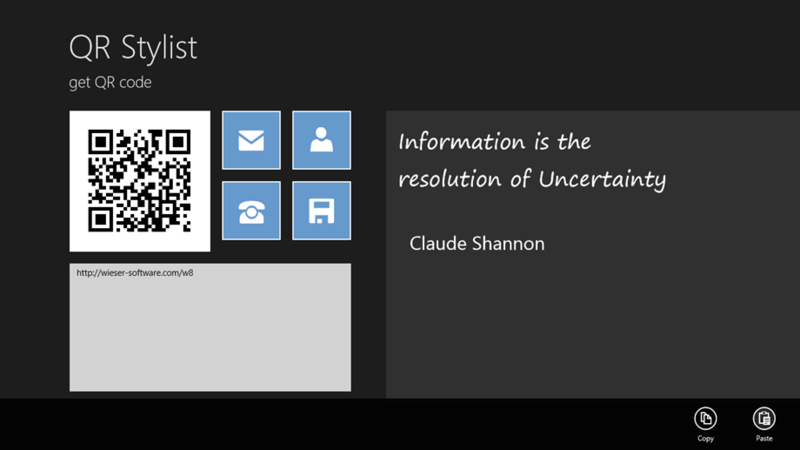 If you have a Windows Phone, you can also easily select a contact on the PC, press the search button on the phone that needs the contact, hit the vision button, and scan the contact in.